Made from a blend of 100% recycled polyester and natural fibers in a textured nonwoven fabrication, this combo pad has been designed to give your soft to medium finished floors a high gloss you desire. These pads comes 5 to a case and are made to be used with 20 inch electric and battery floor burnishers at speeds up to 3000 rpms. 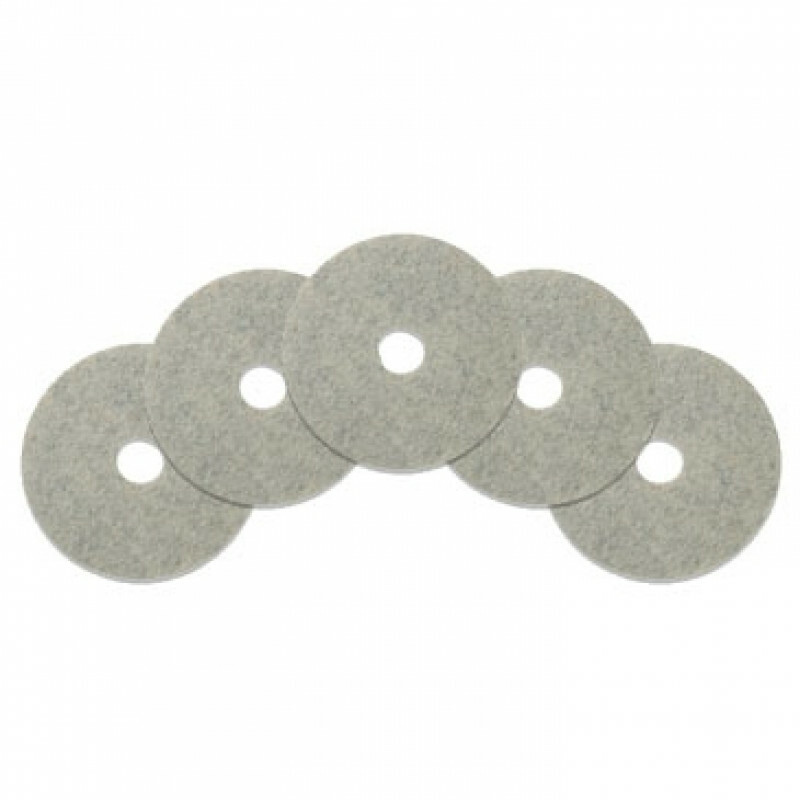 We recommend dust moping your floors before use of these pads to clean up any debris that that could potentially cause scratching. Then use the combo pad until the finish gives you a high gloss. Clean up by using a dust mop again to remove the dust from burnishing.